Proelio (PEO) is a Masternode cryptocurrency that aims at becoming the go-to for settlement in real-estate transactions and it characterizes itself with fast transaction times. 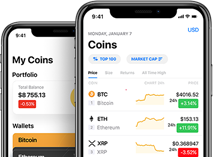 The coin also has its own core wallets available for Mac OS, Windows, and Linux. Want to add new team member to Proeliocoin?